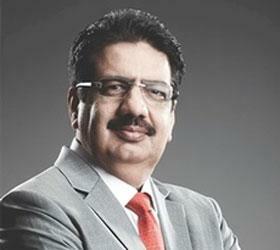 Vineet Nayar is the former CEO of HCL Technologies, and founder of Sampark Foundation. He is also author of the highly acclaimed management book, Employees First, Customers Second: Turning Conventional Management Upside Down, which, so far, has sold over100,000 copies worldwide. Vineet was cited in the “Thinkers50” 2011/2012 list, where he was praised as the only “practitioner thinker” in the world. Inviting company-wide critique of his effectiveness as CEO, and making the assessments visible to the entire organization; turning the organizational structure upside down to make management accountable to employees; and putting employees ahead of customers are just a dew examples of his radical approach to leadership. The positive results of his approach have been staggering. From 2006 to 2013, Vineet and his team at HCL, executed an organizational transformation that has seen the company’s revenues rise from $750 million to over $4 billion. All while vastly boosting employee morale and, not surprisingly, taking customer satisfaction to new heights. Today, Vineet is applying his management philosophies at his Sampark Foundation, where the mission is to “create a million smiles” through improving the quality, infrastructure and opportunity for education to the underprivileged - through large scale social change – and under his guidance, the Foundation is well on its way to doing just that! A recent McKinsey study delved into the performance of companies over a 25 year period of time and reached two very interesting conclusions. One – that almost 90% of the companies go through a crisis at one or the other point of time in their lives, and two that only 10% of them are able to recover their pre-crisis value! Sustainable recovery and turnaround, if this research is to be believed, is almost an art form, a cryptic formula that very few people seem to be able to crack. In this session, based on his experience of transforming HCL Technologies (a $4.8bn global IT Services company) to not only recover its pre-crisis value but rather increasing it by six times in both revenues and market cap, Nayar will provide insights which look at transformation or turnaround as a structured, multi-layered process. In this candid and personal account, Nayar will recount how he defied the conventional wisdom that companies must put customers first. He believes that since employees are the closest interface with the customer they are the new value zone for companies: the place where value is truly created for customers and therefore organizational accountability should lie first with the employees, and not the other way around. Inspired Leadership – what does it take? A perfect storm is brewing all over again. The economic growth is slowing down; policy paralysis aided by leadership inaction on bold reforms, holds little hope for the future. Employees are increasingly feeling overwhelmed with disappointment, helplessness and the business outlook is turning pessimistic. Nayar believes that turbulent times need “managers” to transform themselves into “Inspirational Leaders”. Those who inspire are trusted, respected and deliver results others will find difficult to even think as possible. Inspirational leaders are unconventional, bold, fearless, honest, passionate, caring and most importantly they know their teams will climb the Everest if that is what is needed today. In this session Nayar will share one possible systematic approach of reaching this goal. The focus would be on practical ideas and on ground lessons that are very relevant for managers and leaders aspiring to lead in turbulent times. Nayar believes that it is a myth that all who graduate from good B schools or make it to so called “big” companies, or high-brow teams will become successful. His analysis has revealed that only 1% of aspirants get to become a CEO of a meaningful company or a startup, 9% almost get there and stop one stage before the final peak and 90% do not get anywhere close to their aspirations and ambitions. It is also a myth, he says, that those who work hard make it big as 99% of people work very hard. In this session Nayar will address the crucial ensuing question – why do 90% of us fail to meet our aspirations and why only 1% of us are able to create magic? His speech will help audience discover the catalysts that hold the answer to this question by encouraging them to structure efforts “outside the boundaries of reason and logic” ultimately helping them discover their “uniqueness” and “ability to create magic”. Nayar believes that leadership is not an entitlement but a right one earns through one’s actions every year, every day and in fact every minute. Beginning with the assumption that every person has a leader within who is just waiting to be discovered, in this session Nayar will help attendees discover that magical leader within them by outlining nine non-negotiable fundamentals of leadership. The session will cover practical insights from real-life work situations and enable managers and professionals to draws energy, inspiration and the right to lead from those they lead.